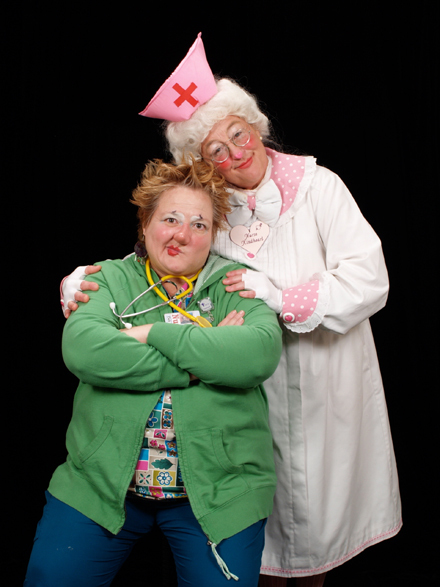 Until fellow nurse humorist, friend and “The Singing Nurse,” Deb Gauldin came face-to-face with Nurse Kindheart. WOW! Did the sparks of creativity fly! I can’t even begin to tell you how much fun – and how insightful – this new comedy team is. Traditional, old-school Nurse Kindheart, and her new co-worker, Krapinka Attitude (“You can call me ‘Crappy’”) tell it like it is -- when real nurses meet in today’s health care setting. The interactions between Kindheart & Krapinka are too true in today’s health care environment. But at the core, they are nurses and nurses care. So despite their generational differences, they learn to value each other to serve their patients well. The differences in these two, very different nurses reveal many of the truths about and strategies for working together in a diverse workforce. Contact Patty today, to get Kindheart & Krapinka scheduled in for your next nurse retention or nurse recognition event! Kindheart is a master at seeing people’s inner beauty, and Krapinka is the perfect example of a flame that has been camouflaged, but who has so much yet to give. Jan Boller, PhD, RN, assistant professor, Western University, and co-author of Daily Miracles. Copyright © 2015 Patty Wooten. All rights reserved.